Although you may note that Christmas was some time ago. 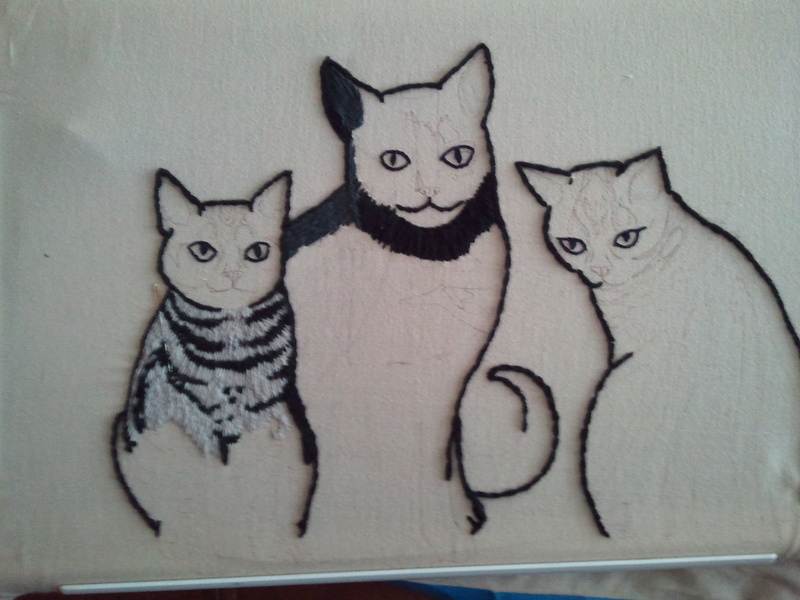 This is going to be an 18″ by 18″ pillow for my mom, featuring her three cats, a black cat and two silver tabbies. I started it in October with the optimistic thought that I could finish it in time to have it under the tree for her. But now that the little guy is starting to sleep on more of a schedule, I’m actually starting to have my hands free while we watch tv in the evenings, so hopefully this project will pick up some steam. I’d like to give it to my mom before next Christmas. More details as things progress. This entry was posted in Uncategorized and tagged embroidery, surface embroidery by Rene. Bookmark the permalink.